The Samsung SUD-2080 is a fixed analog camera that offers 600 lines color and 700 line B/W resolution with minimum illumination. It is equipped with both Unshielded Twisted Pair (UTP) and analog BNC video outputs. The UTP signal can be used with Samsung's multi-camera UTP power supply for single cable installations, it is also compatible with NVT and Nitek products. With UTP, cameras can be located up to 3000 feet away without fear of ground loops, and the signal is transmitted via CAT-5 cable. This camera is equipped with a 3.6x V/F lens, true day & night capability with ICR, wide dynamic range, 16x digital zoom, digital image stabilization and multiple voltage inputs. The Samsung SUD-2080 has many exciting features for users of all types. 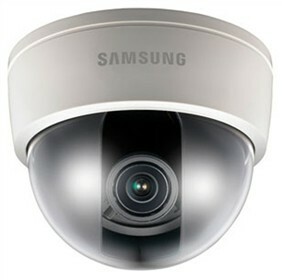 See the Samsung SUD-2080 gallery images above for more product views. The Samsung SUD-2080 is sold as a Brand New Unopened Item.